Series launch campaign delivers big time. Check out Phunware in action. 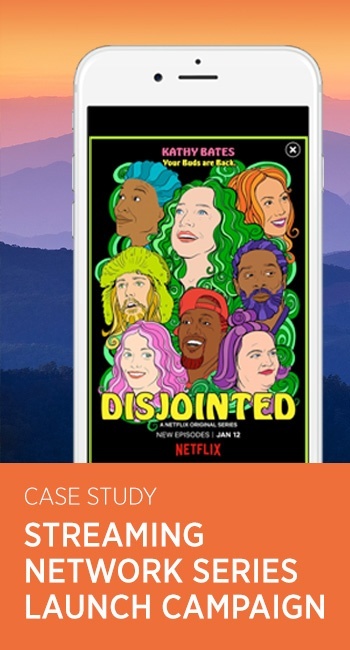 To help promote the launch of a new original sitcom on a major streaming network, Phunware created a breakthrough multi-part campaign with 360° video and a strategic app and website takeover. In just two weeks, the campaign delivered nearly 8 million impressions and an overall 1.35% click-through rate (CTR).